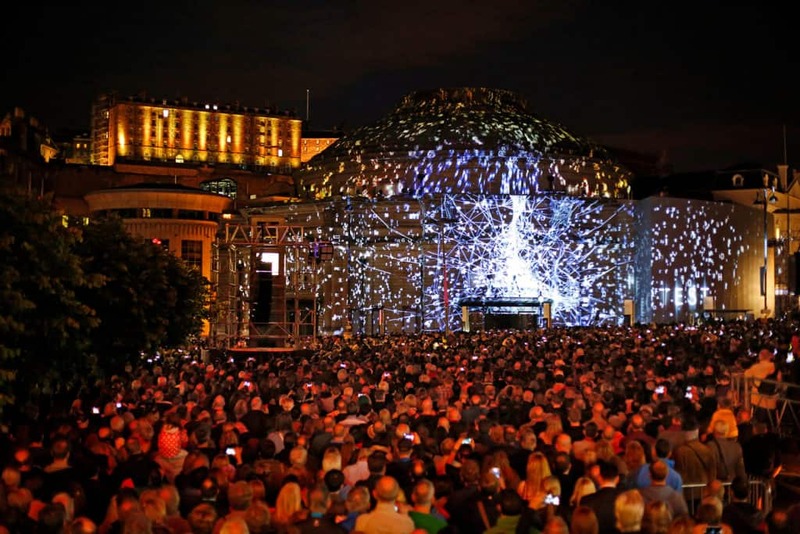 The Harmonium Project was a free, outdoor, projection mapping event marking the opening of the 2015 Edinburgh International Festival and the 50th anniversary of the Edinburgh Festival Chorus. 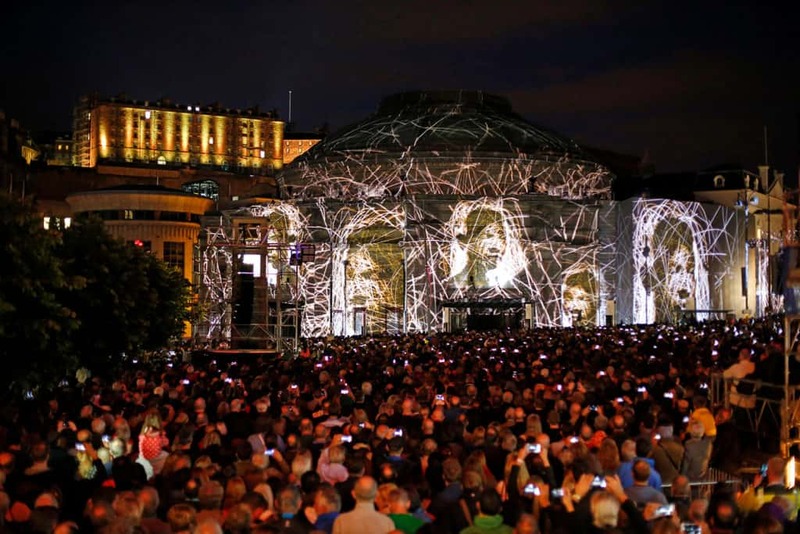 Created by 59 Productions, the piece combined John Adams’s mesmerising choral work Harmonium with a series of spectacular animations, projected onto the outside of the Usher Hall, with an audience of almost 20,000 people gathering on Festival Square to view the transformation of this much loved Festival venue. 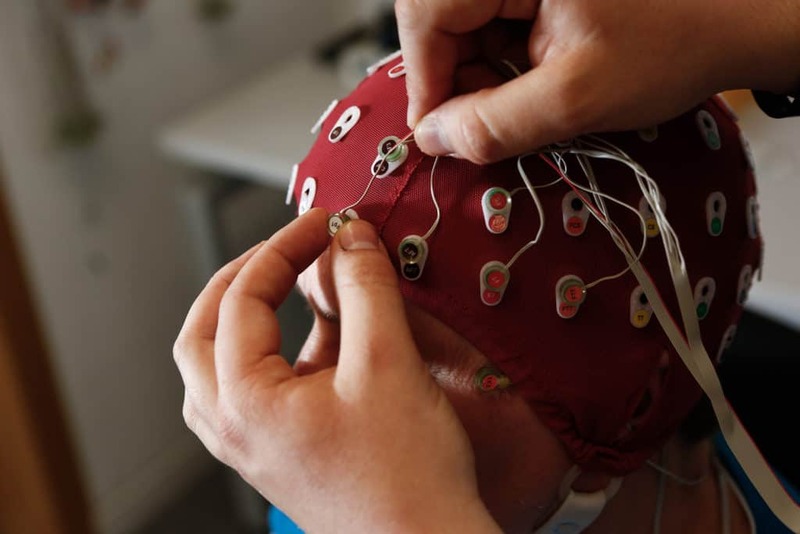 Working with the University of Edinburgh’s School of Informatics, the project examined the effects singing has on both the performer and the listener. 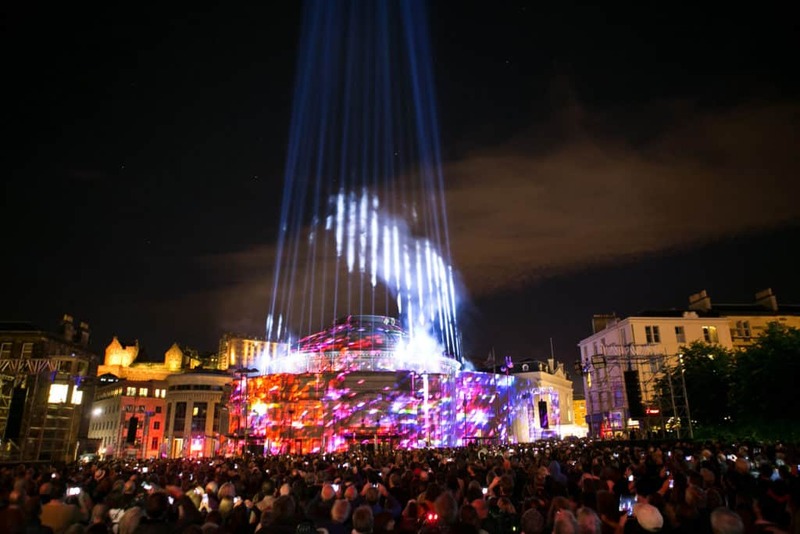 Gathering data from musicians and singers and using it to guide and inform the animations that blanketed the facade of Usher hall, this project marked a unique approach to visualising music. A recording of Harmonium formed the soundtrack to this spectacular event, performed by the Royal Scottish National Orchestra and the Edinburgh Festival Chorus conducted by Peter Oundjian. 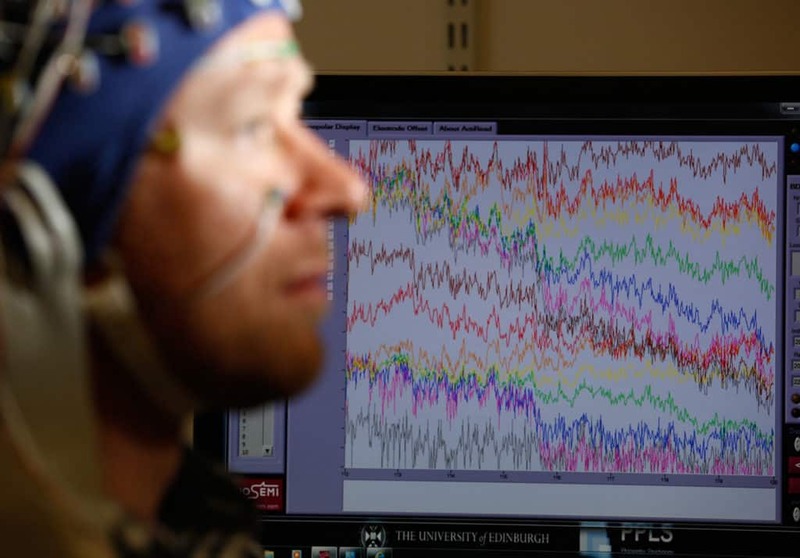 Combined, these elements formed a spectacular show informed by both groundbreaking research and a powerful sense of musicality, delighting and amazing festival audiences.